Publisher: Sky Pony Press, an imprint of Skyhorse Publishing, Inc.
Georgia Children’s Book Award Nominee! The world would be a better place without math or spiders. At least, that’s what perfectionistic, control-freak Ella Hunter believes. Life is about keeping order and avoiding long division, fractions, or really anything with an equal sign. As the end of the school year approaches, the fifth-grade teachers at Victor Waldo Elementary conclude there’s not enough time to complete a new math unit before summer break. Great news for math-phobic Ella, right? Wrong! The teachers decide instead to have their students host the first ever Math Fair. The problem is the fair project is worth two major math grades. 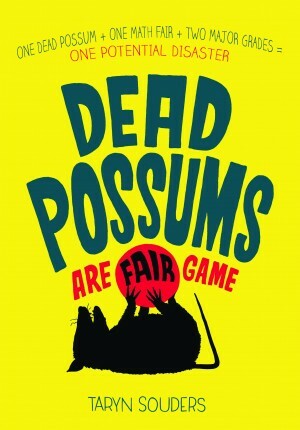 Add a dead opossum, a dog that eats everything in sight, a wacky aunt, a broken arm, spewing fireballs, and vomitus gummy bears, and Ella knows total disaster—in the form of a math tutor all summer long—is headed her way! Can she stop her troubles from multiplying before it’s too late?